Unlocking a vehicle requires excellent knowledge of the lock and basically all the car lock security systems, new age machinery and great methods. 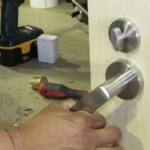 It also demands velocity and thorough work, experience and good training and that’s why our company in Toronto has exceptional training facilities for its locksmiths. Such issues may provoke serious problems regarding your security and for this reason we are alert for your calls 24/7. A simple problem to the lock security system of your car or failure of the transponder key to communicate with the circuit will keep your car locked. When the ignition keys are lost or even stolen, it will also be a disaster. Inability to have access to your car may stress you up or compromise the security of your vehicle and members of your family. Our locksmith Toronto auto specialists have encountered similar problems in the past when someone was locked inside a car. This is the main reason why we have the fastest mobile teams in Ontario and rush off to your location the second you call in to report such issues. 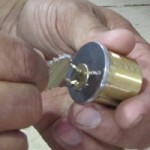 We promise immediate services to car lockouts because our company has the infrastructure to provide quick assistance. Whether you are locked in or out of your vehicle, whether your car or you are in an immediate danger or not, we come fast and offer the best services. Carrying the necessary equipment and having experience of how to handle different locks FC Locksmith promises fast unlocking of your car without damaging the locks or the system.